Please join us for a five-course luncheon featuring Rutgers 250 All-Star Varieties of plants and shellfish. 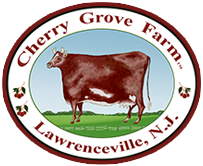 Speakers include Rutgers breeders Jim Simon and Tom Molnar, who will provide insight on the development of new varieties (such as downy mildew-resistant basil and Eastern Filbert Blight-resistant hazelnut trees). Guest speakers include Secretary Douglas H. Fisher of the New Jersey Department of Agriculture as well as New Jersey food industry entrepreneur Theresa Viggiano of First Field. New Jersey foods include cheese, meat, and ice cream. New Jersey beverages include wine, beer, and peach cider. Attendees will receive ceremonial products as a token of our appreciation. Thanks to our Gold and Silver Level sponsors (listed below)! Hosted by the New Jersey Agricultural Experiment Station (NJAES) in celebration of Rutgers University’s 250th anniversary! Pre-registration is required. Please note: eight seats per table. Rutgers 250 Breeding Celebration: 11 AM-4 PM on 11.4.2016 at Trayes Hall, New Brunswick, NJ. Visitors may park in Lot 70 & Douglass Deck without permits during the celebration. Faculty, Staff, and Students must park only in lots they are authorized to park in. Please include dietary restrictions, such as vegan and gluten-free, on the registration page. Registration page: please register by October 25, 2016. If you are in the position to make a donation, please consider contributing $250 in honor of Rutgers University’s 250th anniversary. This donation will be deposited into the NJAES Plant Breeding Fund, which supports the research and development of new varieties. Your donation will support the NJAES mission to preserve New Jersey’s agricultural tradition by addressing research needs identified in agricultural, food, and environmental systems. Thank you for your consideration and support! Thanks to Twin Oaks Caterers. Please note: this menu is subject to change. Rutgers NJAES cranberry, lettuce, basil, asparagus, tomato, strawberry, peach, shellfish, hazelnut, and pepper. New Jersey wine, cheese, beer, meat, marinara sauce, peach cider, and ice cream. 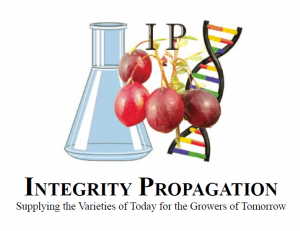 The featured varieties were developed at the Rutgers New Jersey Agricultural Experiment Station (NJAES). These all-star varieties were selected for desirable traits, such as: increased yields, improved disease resistance, stress tolerance, improved flavor, enhanced nutritional content, and superior overall quality. Efforts made by NJAES breeding programs assist farmers in adapting to environmental and economic changes.